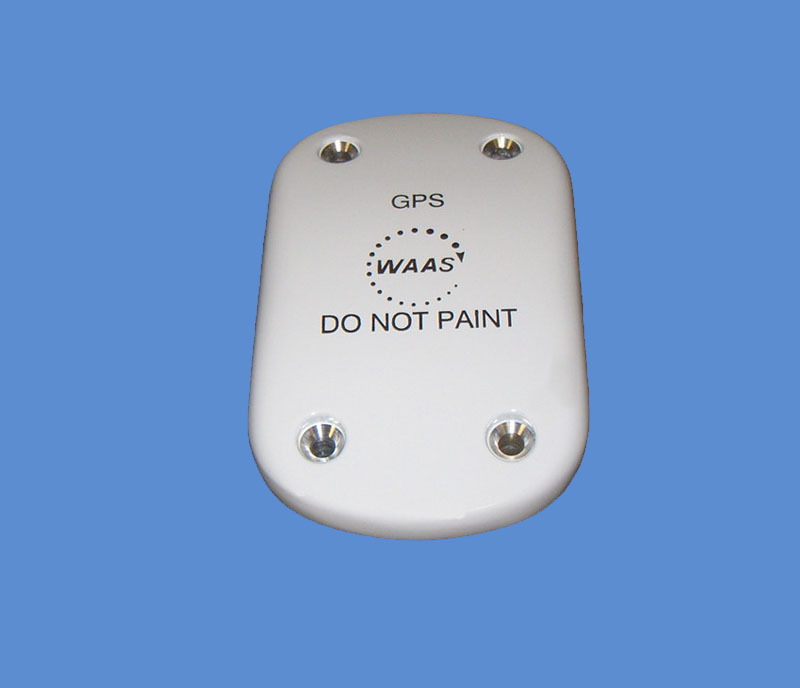 S67-1575-146: WAAS LPV GPS L1 antenna with 29.5 dB gain low-noise amplifier in an ARINC 743A configuration. 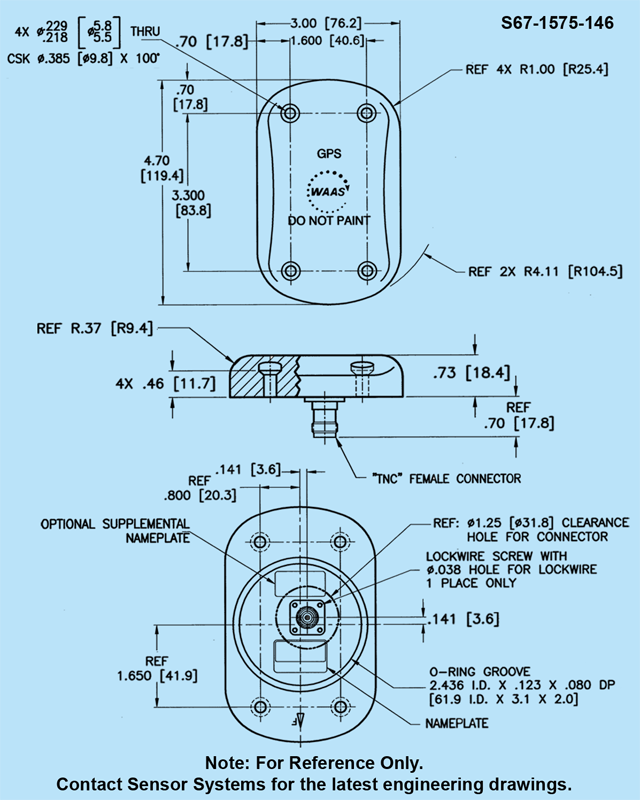 Meets HIRF/EMI and TSO C190 requirements for all critical level MMR installations. The antenna features a state-of-the-art amplifier that uses advanced technologies to provide high GPS signal levels with extremely low noise operation for fast satellite installation acquisition. 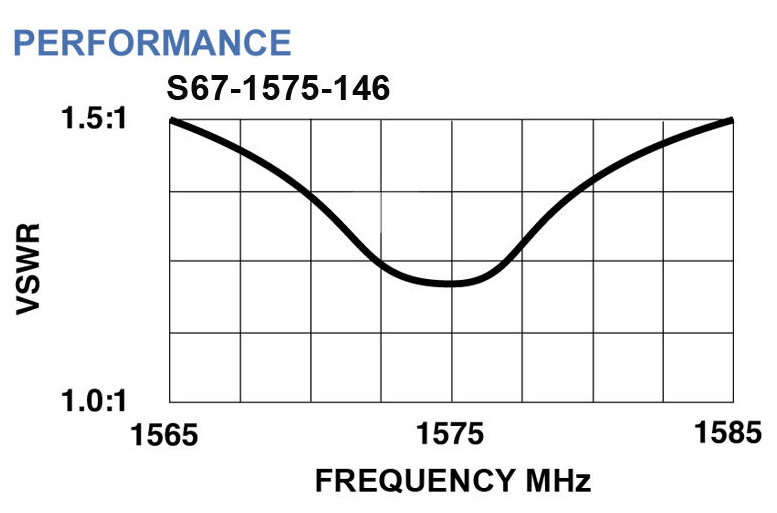 The amplifier’s complex filtering network rejects adjacent/out of band signals that interfere with the GPS operating frequency. The antenna is capable of operating with voltages between +4 to +24 VDC, due to the amplifier’s advanced voltage regulator. The antenna consumes less than 50 mA. DC bias is provided thru the coaxial connector. Advanced radome material provides enhanced protection against rain, ice and lightning strikes. The antenna is hermetically sealed. 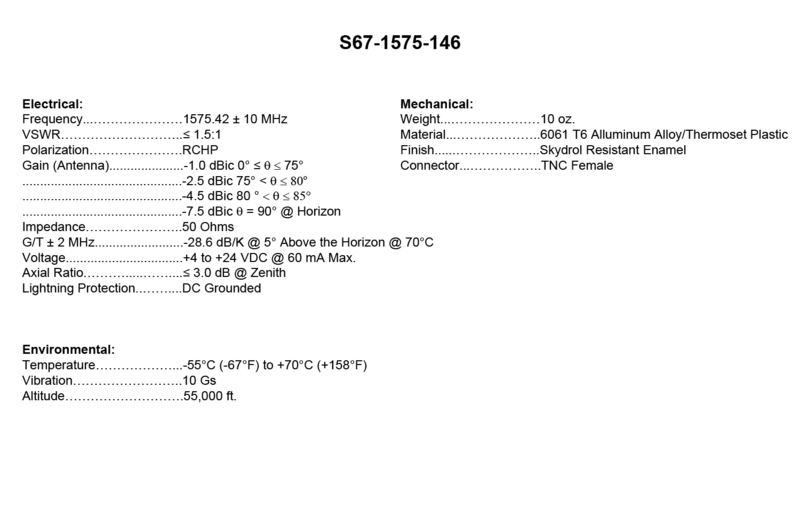 FEDERAL & MILITARY SPECS: FAA TSO C190, DO-160D/E/G, DO-301, MIL-HDBK-5400, MIL-STD-810D, SAE ARP5416, and ARINC 743A.